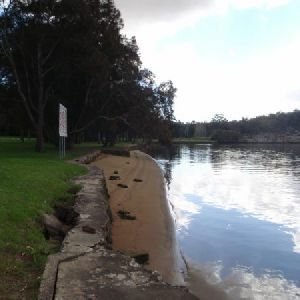 This large, riverside area starts at the intersection of Henry Lawson Drive and The River Road, following the ‘Georges River National Park’ sign down the driveway, where it passes a large car park for the boat ramp and bends around to the right, continuing along the side of the river with several picnic areas and plenty of open space. 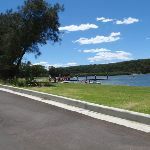 There are toilets and taps at the northern end of the reserve, at the car park for the boat ramp. 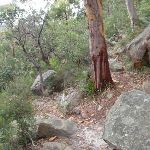 From the road, this walk follows the ‘Ridge track’ sign up the rock steps and up the bush track. 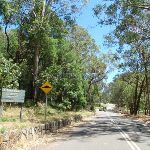 The track climbs up and along the side of the ridge until it comes to the intersection of the signposted ‘Burrawang Reach’ on the left. 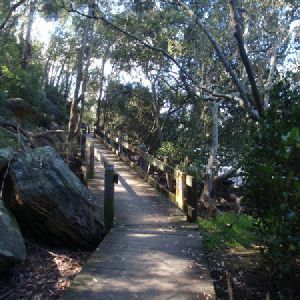 Continue straight: From the intersection, this walk follows ‘Cattle Duffers Flats’ sign, keeping Georges River to the left while heading around the rock ledge. 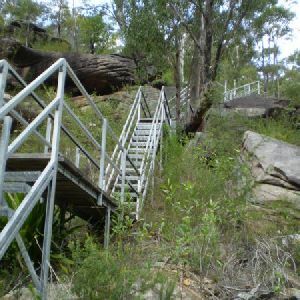 The track heads through some really nice sandstone rock formations, with plenty of gum trees and ferns around. The track continues through the bush until it comes to an un-signposted downhill track on the left. 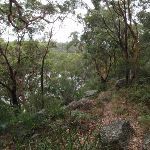 Continue straight: From the intersection, this walk follows the bush track winding along the side of the ridge, with the Georges River visible through the trees to the left. 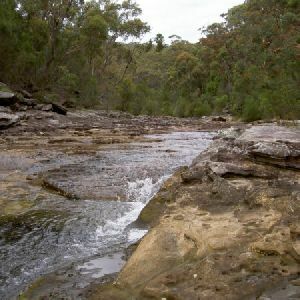 The track heads along the side of the hill, crossing a small creek and heading uphill on the other side. 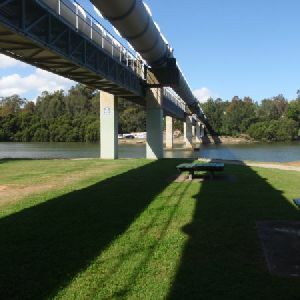 The walk goes under a set of power lines, then along the ridge for a while before crossing under two more sets of power lines and over some metal pipes. The track then comes to a signposted intersection with a track on the left (which heads down to Cattle Duffers Flats). 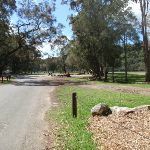 Turn left : From the intersection, this walk follows the ‘Cattle Duffers Flat’ sign down the hill. 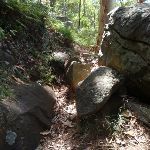 There are a number of rocky steps as the track heads down through the sandstone to the clearing at Cattle Duffers Flat. 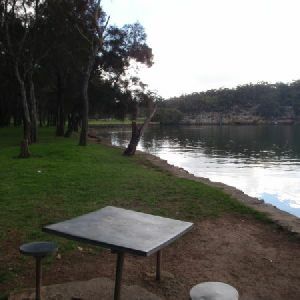 At the bottom of the hill, the track comes out in a grassy clearing, across the road from the toilet block. 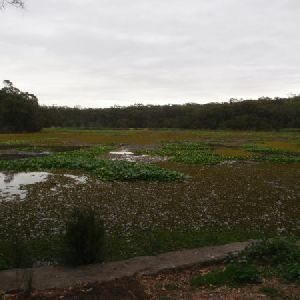 Veer left: From the intersection, the walk follows the road (keeping the river on the right) towards the entrance of Cattle Duffers Flats. The road bends to the right and as it approaches the river, there are great views off to the right. The road bend to the left and comes to a green gate with a welcome to ‘Cattle Duffers Flats’ sign next to it. 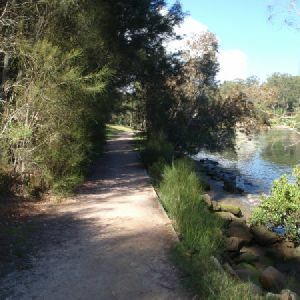 Continue straight: From the intersection, the walk follows the road, keeping Georges River on the right. 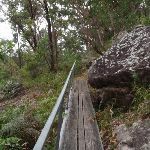 The walk continues past the sign into Cattle Duffers Flat and passes a toilet block, following the river for a while until coming to another toilet block at the signposted intersection of the ‘Ridge Track’ (on the left side of the road at Burrawang Flat). 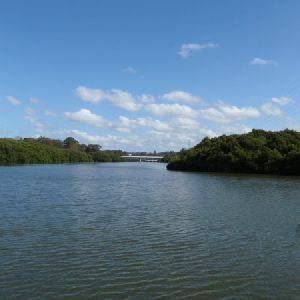 Continue straight: From the intersection, the walk follows the road, keeping the Georges River to the right. 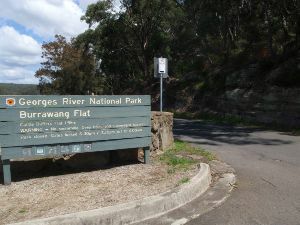 The road passes the ‘Barrawang Flat’ sign then bends to the left, passing the entrance to the large car park, and climbs up the hill to the signposted intersection with the Ridge Track on the right side of the road. 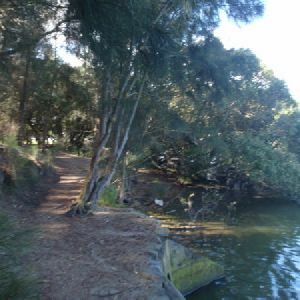 1.7km of this walk has gentle hills with occasional steps and another 1km is flat with no steps. The remaining (120m) is very steep. 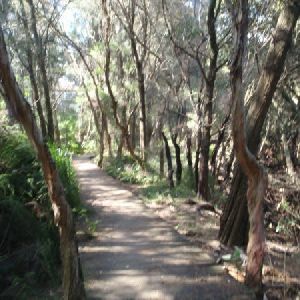 Around 1.5km of this walk follows a formed track, with some branches and other obstacles, whilst the remaining 1.4km follows a smooth and hardened path. 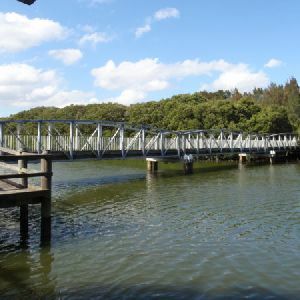 Around 2.7km of this walk is clearly signposted, whilst the remaining 190m has directional signs at most intersection. 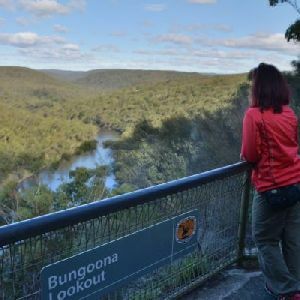 Around 1.5km of this walk requires some bushwalking experience, whilst the remaining 1.4km requires no previous bushwalking experience. This whole walk, 2.9km is not usually affected by severe weather events (that would unexpectedly impact safety and navigation). 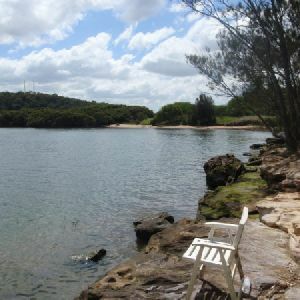 Around 2.7km of this walk is close to useful facilities (such as fenced cliffs and seats), whilst the remaining 190m has limited facilities (such as not all cliffs fenced). 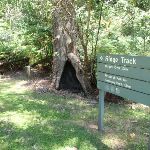 A list of walks that share part of the track with the The Ridge Track Loop walk. 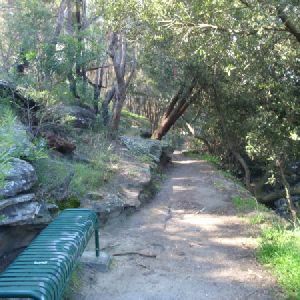 A list of walks that start near the The Ridge Track Loop walk. 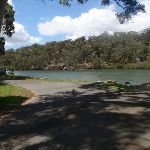 http://new.wildwalks.com/wildwalks_custom/includes/walk_fire_danger.php?walkid=nsw-georgernp-nwn Each park may have its own fire ban, this rating is only valid for today and is based on information from the RFS Please check the RFS Website for more information.